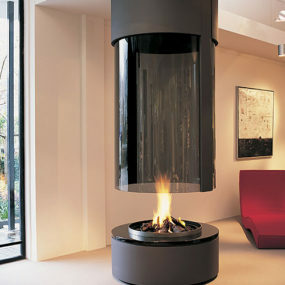 The French company, Focus, creates stunning fireplaces that will be the clear focal point of any room they grace. 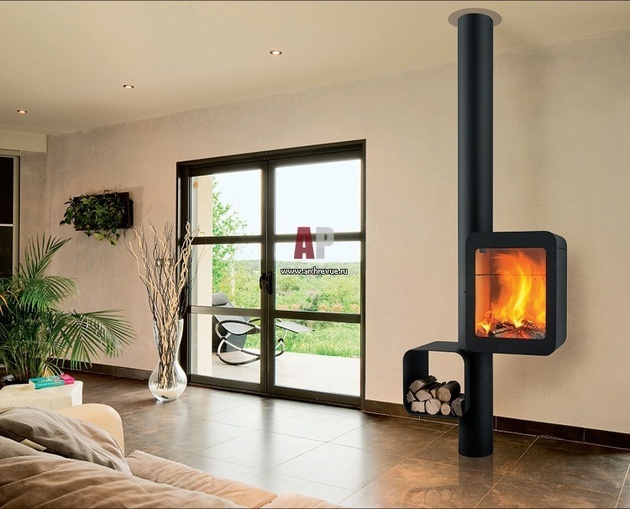 Because European standards limit the use of open fireplaces, a number of their models are constructed to use gas or bioethonal fuels (with the option of reverting to wood burning if desired). There’s something to be said for a ready supply of fuel for your fire that burns clean and doesn’t leave bits of wood and bark around the house. 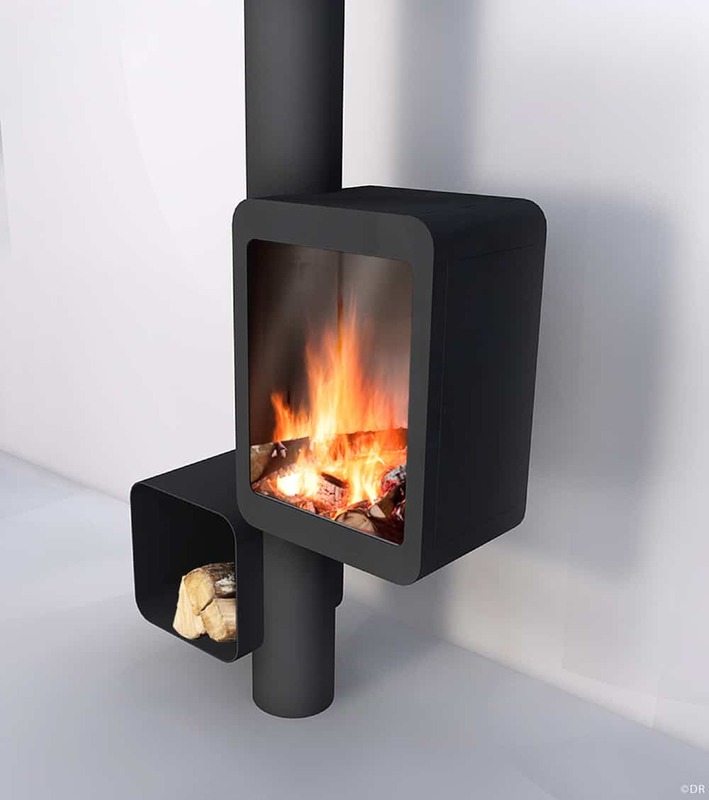 But, given that there’s also something about the smell of a wood burning fire, and the crackle of a fire, Focus has continued to produce wood burning models. 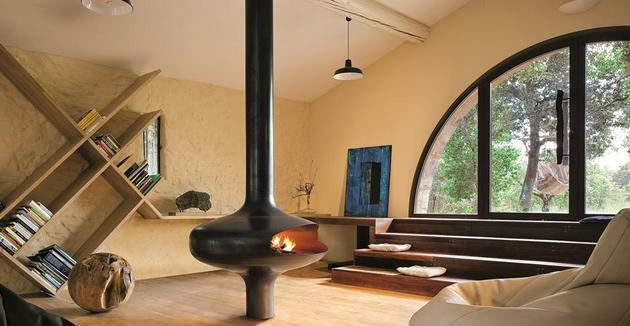 The Magmafocus (above) has such spherical, flowing lines and becomes the immediate focus of the room you place it in. 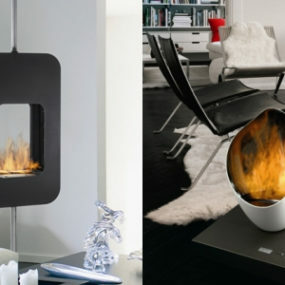 With a stylish flat black finish, it emits a warmth that radiates as much from the design as the fuel source. The model shown is outfitted for gas or bio fuel, but is also available as a wood-burning fireplace. 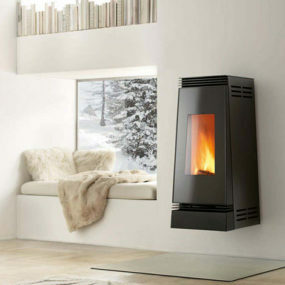 The Slimfocus model (above) can also be outfitted to your choice – gas or bio fuel, or traditional wood burning. 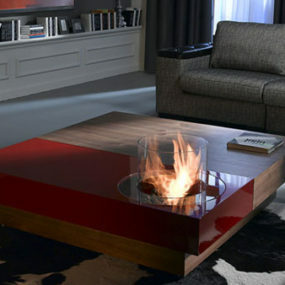 And it can be floated from the ceiling (as shown) or positioned directly on the floor. 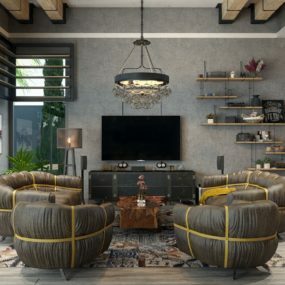 We love the hanging version above – it allows the floor to maintain it’s clear lines and gives the room and ethereal feel somehow. And doesn’t it look wonderful in use? 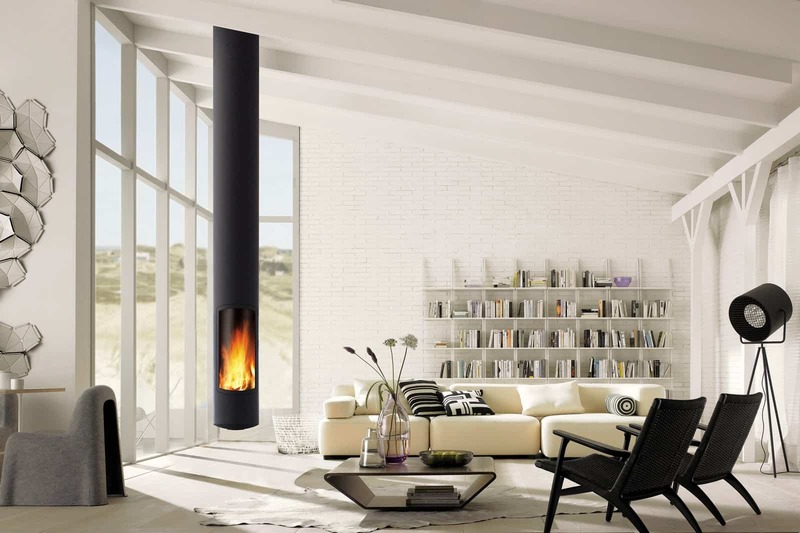 This model can also be attached to the wall or placed against the corner of a room. But the ability to have it floating free in the room, suspended from the ceiling is what we think gives it such attention. 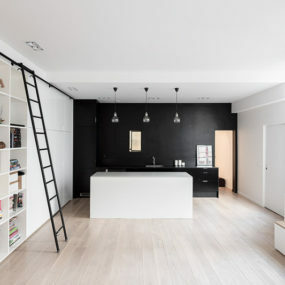 You don’t expect to see a fire suspended in the middle of the living space. And at that height, the heat source is more effective. But this is such a stunning addition to any room, the heat might almost be a secondary (but welcome) part of the attraction. 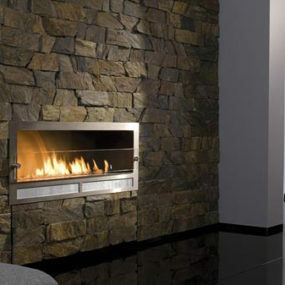 The Grappas, above, is a closed and leak proof wood burning fireplace that is winning awards in Europe. 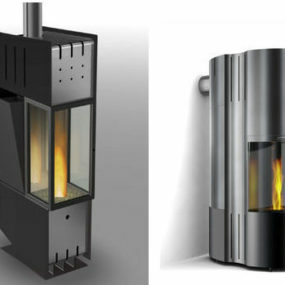 Designed for eco-friendly homes, it is a clear example of the beauty that can be created when design meets function. Note the wood storage box and again, the clean simple lines that add up to much more than the sum of its parts. Company founder, Dominique Imbert, says he has had an adventurous life, between “the Sorbornne in Paris and the subway in Manhattan”. When he created a sculpture studio for himself in the South of France and needed heat, he built a steel fireplace. 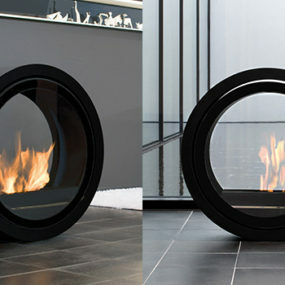 Others saw it, wanted it, and his fireplace company, Focus, was born. When something of such style and beauty is created, the market will respond favorably. And we’re glad they did.